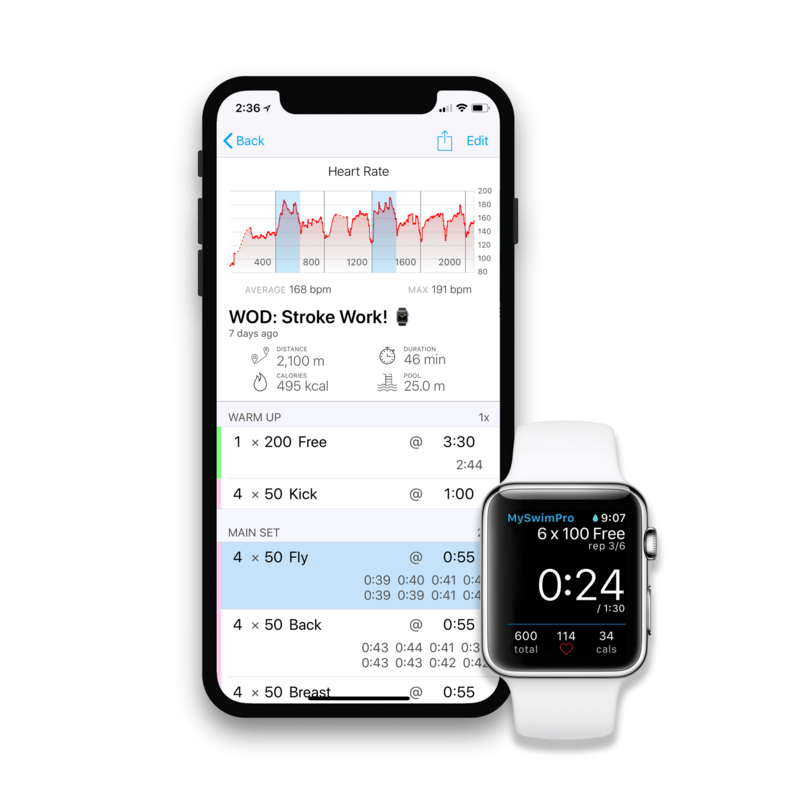 MySwimPro | Custom swim workouts, training plans and coaching for all swimming levels. 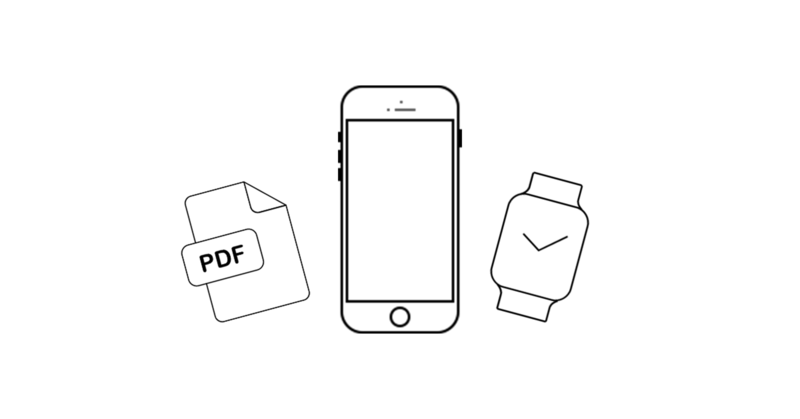 Reach your goals with hundreds of workouts and training plans that are unique to your skill level and speed. 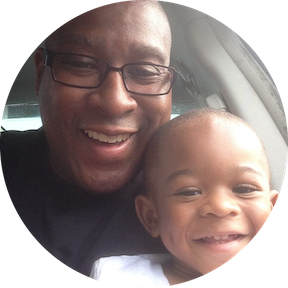 The coach will guide you through a structured plan crafted to your speed and goals. WHAT IS YOUR SWIMMING GOAL? The goal is to swim 1 mile continuously in 6 weeks! Improve your technique and aerobic capacity in 8 weeks! Use the data to swim faster, visualize your training and track your progress. It's like having a personal swim coach on your wrist. Swimming on your own time doesn't mean you're on your own. Be the best swimmer you can be, wherever you are. 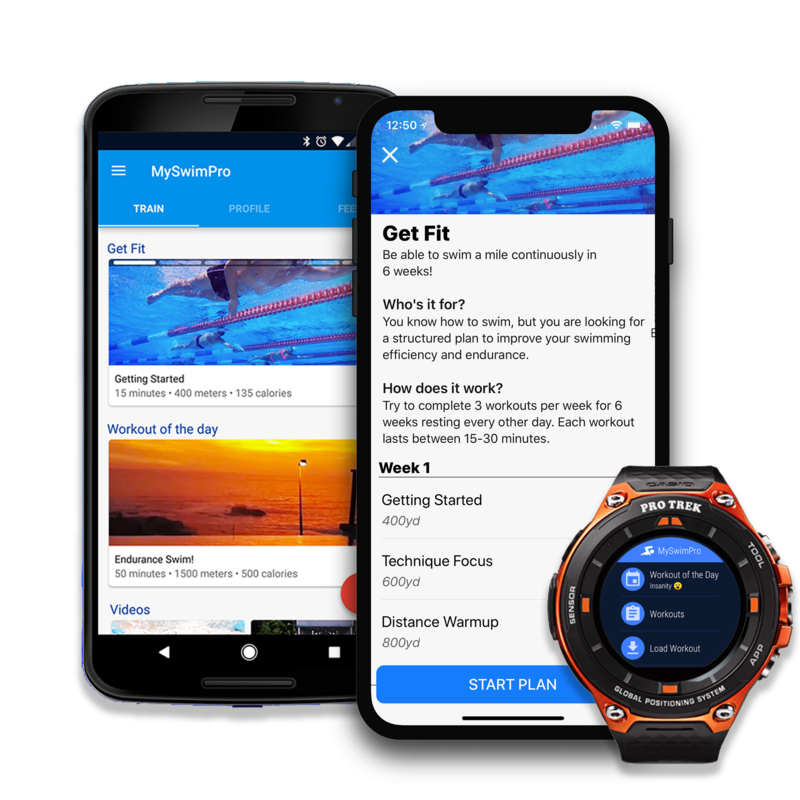 Whether you're swimming for fitness or training to cross the English Channel, MySwimPro will help you get there! "I've lost 75 pounds with this app!" 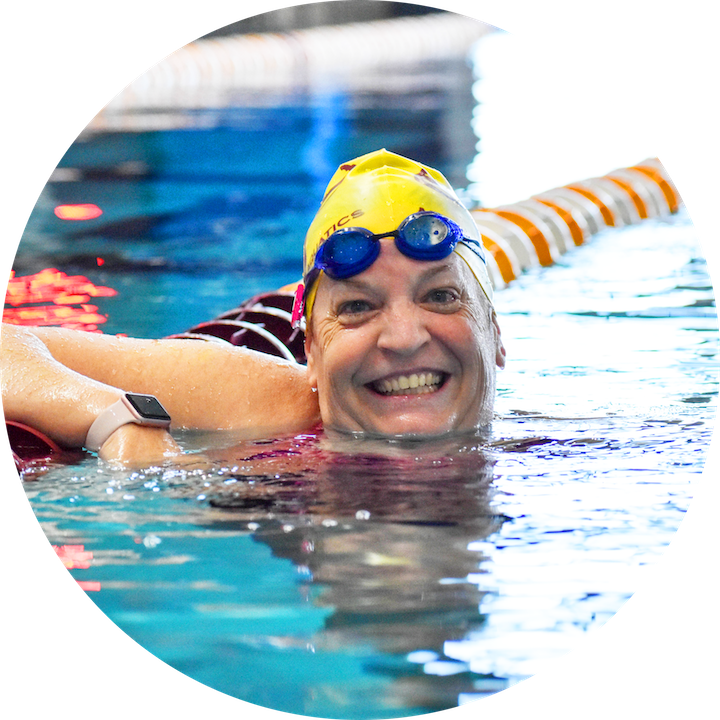 "I'm a 55 year-old former college swimmer who had been out of the water for over 30 years. 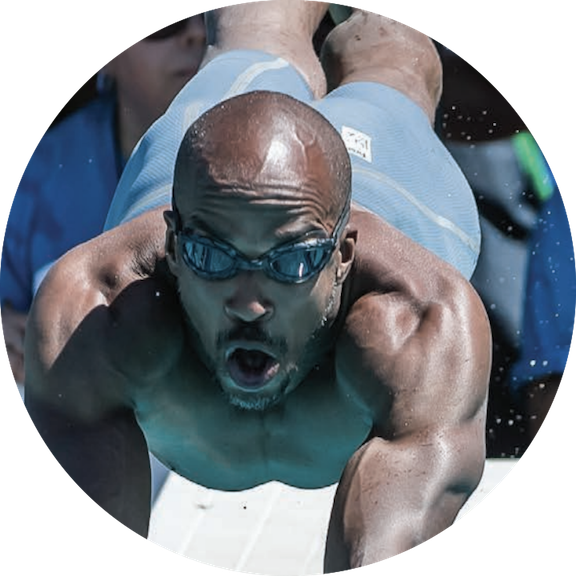 I was too intimidated to try Masters in my seriously out of shape body, so MySwimPro is perfect to swim on my own. I've gotten so much stronger in the water, thanks to this app. I love the workouts, technique videos and motivation right on my wrist with my Apple Watch!" 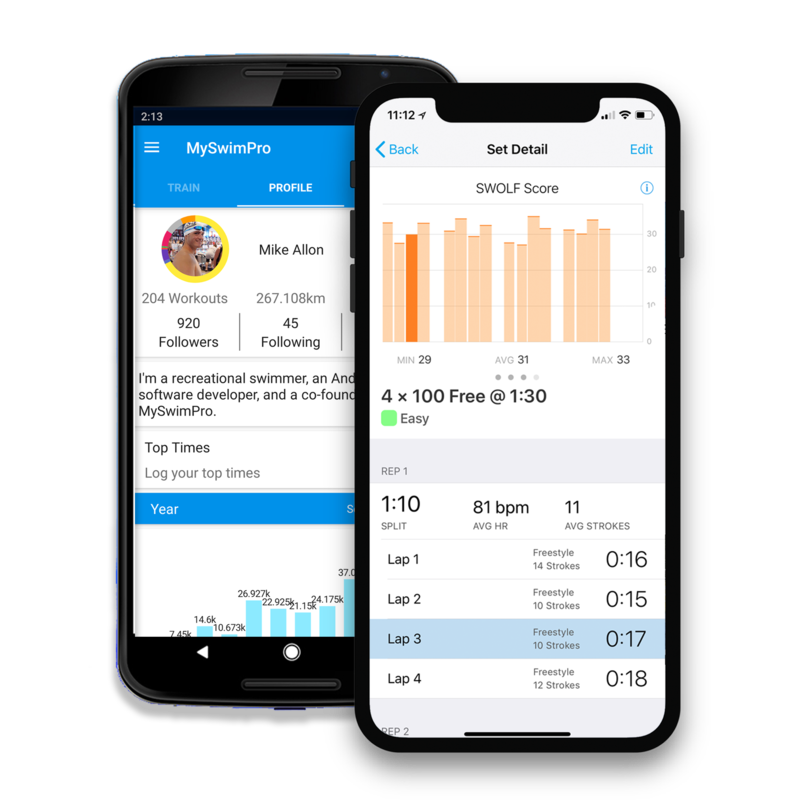 "Pushes you to do your best"
"MySwimPro is using technology to advance the sport of swimming and help swimmers all over the world achieve their goals in new and exciting ways. 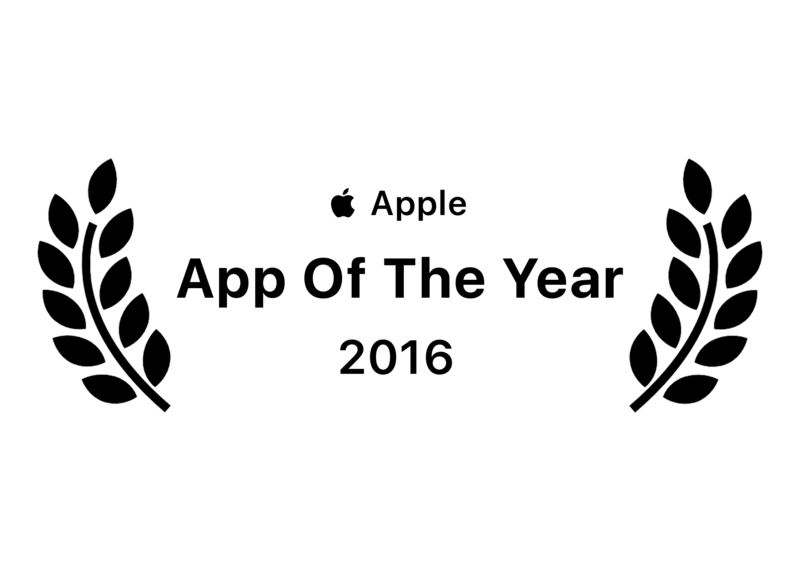 The platform is more than just an app, it's a community that keeps you accountable and pushes you to do your best. 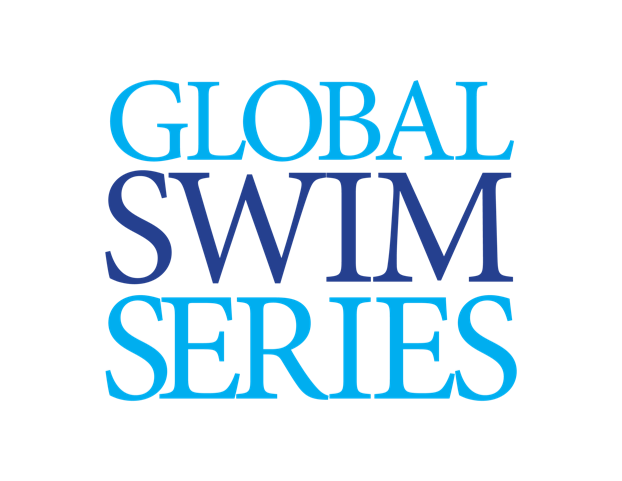 Fares has assembled a world class team that's passionate, determined, and very strategic in how they're growing the company and I'm looking forward to being a part of MySwimPro's global impact." 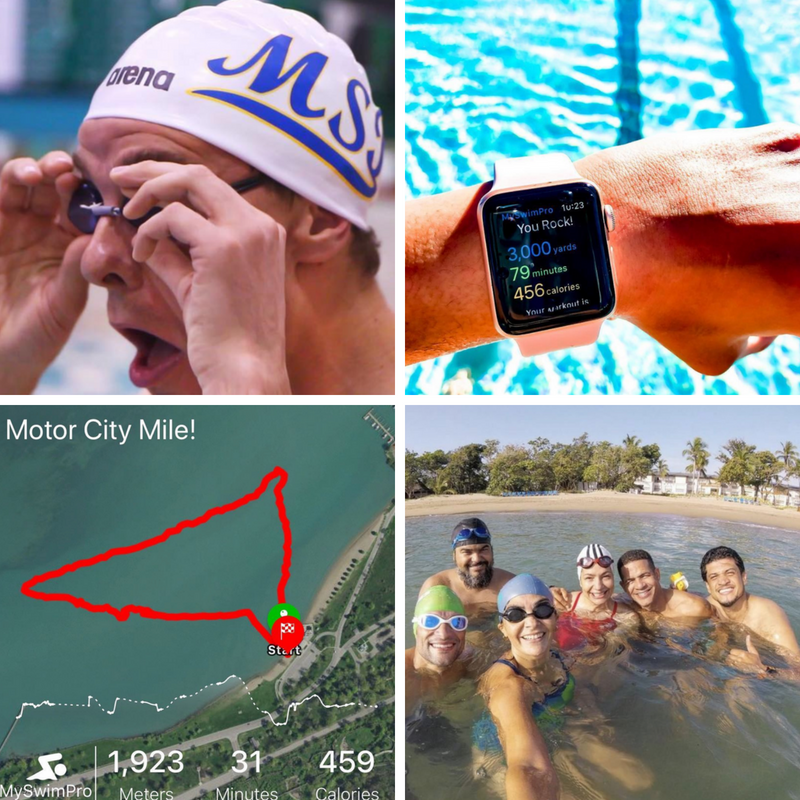 "I swim alone, but with MySwimPro, I am with a team." 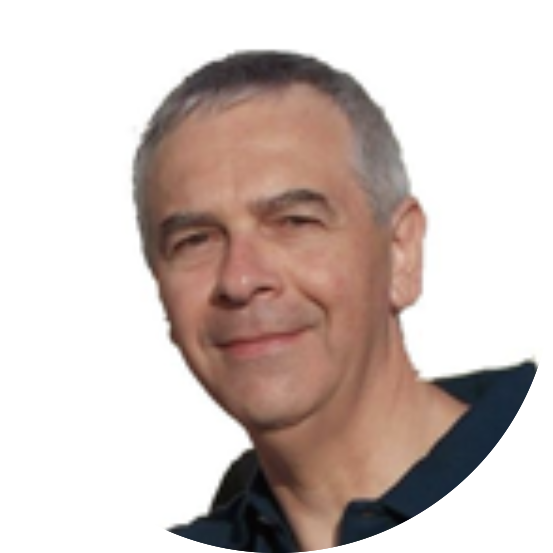 "Having data from MySwimPro helps me focus on the details." "I love how I can see my pace change in different strokes after each training." 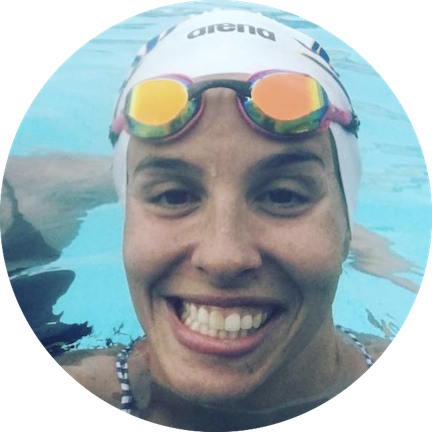 "MySwimPro helped me to realise I am a swimmer. The app and the feedback from the team and members of the community on social media have been incredible!! I've never thought that my swimming trainings would interest anybody, yet here we are. I love logging workouts and sharing my swims now because it keeps me motivated and focused. 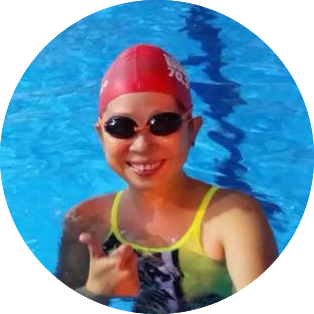 MySwimPro is more than an app, it is my key to being an acclaimed swimmer." 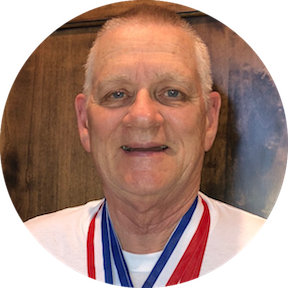 "Helped me win gold for the first time in 41 years!" 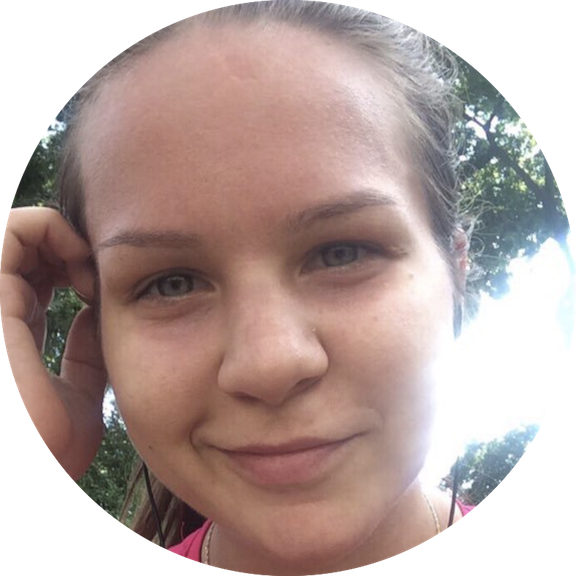 "MySwimPro has been responsible for bringing new life to my workouts"
"My goal is to swim for 1 mile!" 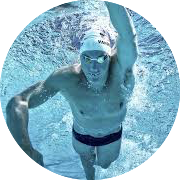 "Helping me reach my goals"
Unlock all features and take your swimming to the next level! 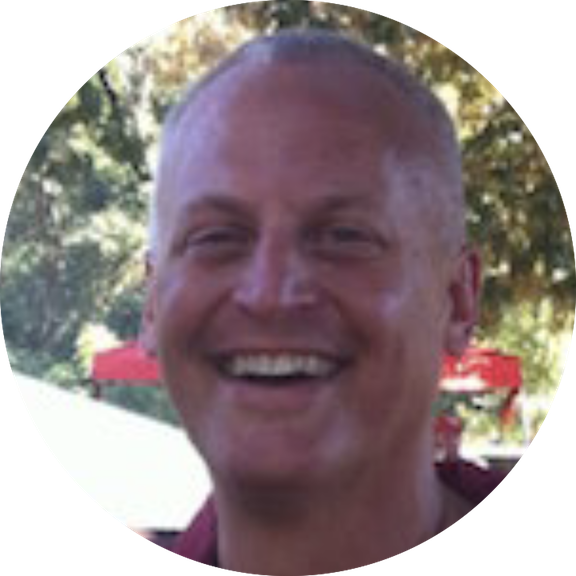 Get started with a complimentary consultation call with our coaches.